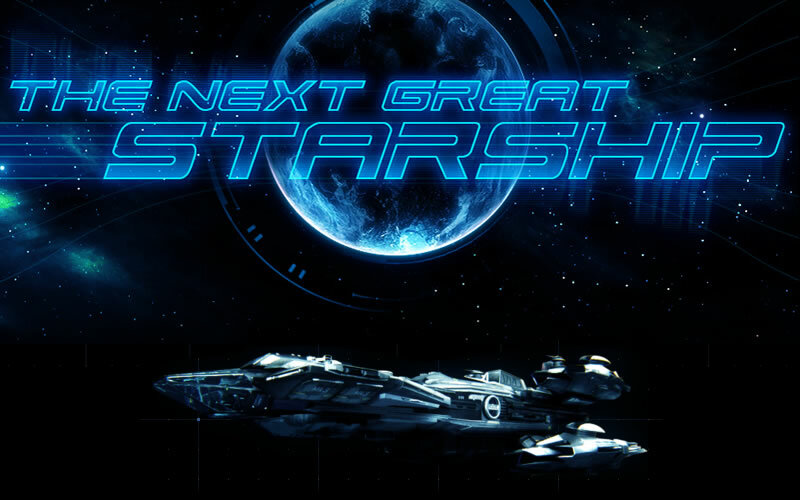 The Next Great Starship is a 3D challenge / modding competition series from RSI where groups of up to three Citizens team up and combine their talents to design, model, and rig a spaceship. Registration opens October 31st and ends on December 31st 2013. Creating ultra-detailed spaceships is the heart of Star Citizen’s development. From concept to final texturing, a ship can take teams of expert designers months to create the level of graphical fidelity and detail that have become hallmarks of the Star Citizen universe. Now Chris Roberts and his team of visual designers are looking to the community for the next great team of ship designs. 16 Finalist teams exit one by one until there is one Grand Prize winner honored with the addition of their spaceship into Chris Roberts’ new space epic, Star Citizen. Not to mention a $30,000 cash prize, a swag of other goodies and the first winning ships off the production press for each team members’ Hangar! Whether or not you participate, subscribe to RSI’s YouTube channel to watch the drama unfold and see who can build Star Citizen’s Next Great Starship. The weekly webcast show will kick off with sixteen finalist teams at 11am PST on January 31st 2014, which is when the specs will be released to each team for the main challenge; The Next Great Spaceship! These sixteen teams of finalists will have to conceptualize, design, model, animate and rig their model while submitting their progress for weekly review by a panel of science fiction’s leading concept artists, designers and celebrities, along with the man himself, Chris Roberts. Each successful challenge, takes you one step closer to the grand prize. Failure means you go ‘home’. In the end, the last two teams will be flown to Los Angeles to compete live in front of the judges and the community on June 8 2014, for the grand prize: $30,000, their ship incorporated into the Star Citizen universe, cool swag, and the title of... The Next Great Starship. $30,000 in cash for the team members. Your Great Starship is included in Star Citizen and each member of your team receives the first production models off the press! As well as; Autodesk Entertainment Creation Suite, Maya Premium and one high-end AMD based system with Radeon R9 290X (for each team member). $10,000 in cash for the team members. Alienware laptop, Autodesk Maya 2014, AMD Radeon R9 290X (for each team member). $5,000 in cash for the team members. Autodesk Maya LT, AMD Radeon R9 290X (for each team member). (to the most valuable player out of the remaining contestants among the final three teams voted on by the judging panel): One Cintiq Companion, the new Windows 8 “Make the World your Studio” tablet from Wacom.